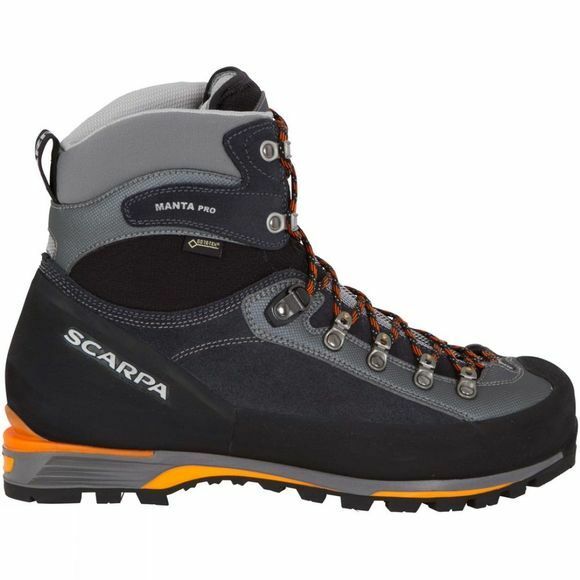 Consistently lauded as one of the best mountain boots available, the Scarpa Manta has gone from strength to strength for many years. 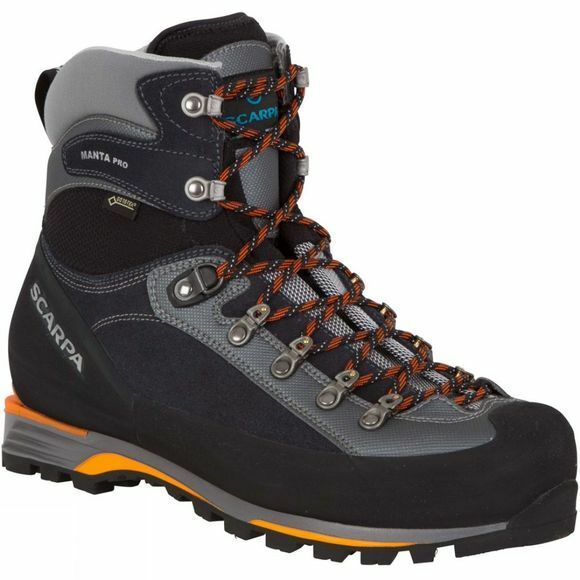 Now in the guise of the Manta Pro GTX, this version proves Scarpa were not content to rest on their laurels. The Manta Pro uses lightweight synthetic materials alongside Crosta reversed leather with a Gore-Tex lining to ensure no compromise in protection, while advances in sole technology allow all-mountain support to come from lighter components. Great attention has been paid to the ankle construction, providing the support necessary for a 4-season boot but with greater forward-flex than previous versions: supportive need not mean uncomfortably rigid. As well as offering the biting tread you'd expect underfoot, the Pentax XT sole unit features a broad, supportive surface at the toe for friction on rocky edges: further evidence of the Manta Pro's mountain credentials. Grip, friction, support, protection...but lighter and more comfortable. The Manta Pro GTX looks set to receive the same plaudits as its predecessors.